One of the core rights as an American is the right to vote. Your vote is your choice in how the government works, what direction you wish the city, state, and country to take. Collectively, all Americans make their choices at the voting booth. Interfering with that right, restricting access of the voice of the citizenry can result in lopsided representation and an imbalance in our society affecting everything from education, access to clean water and food, health care, equality, business egulations, taxation, foreign policy, and so much more. 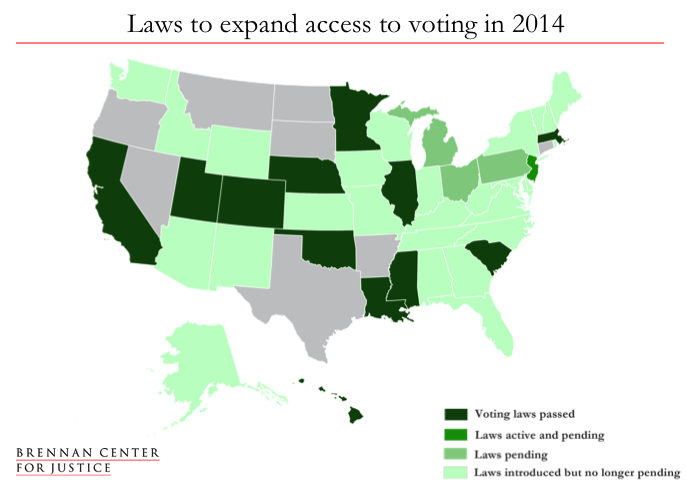 According to a report from the Brennan Center for Justice, voting access has been expanded in some states, while it has been restricted in others in 2014 alone. 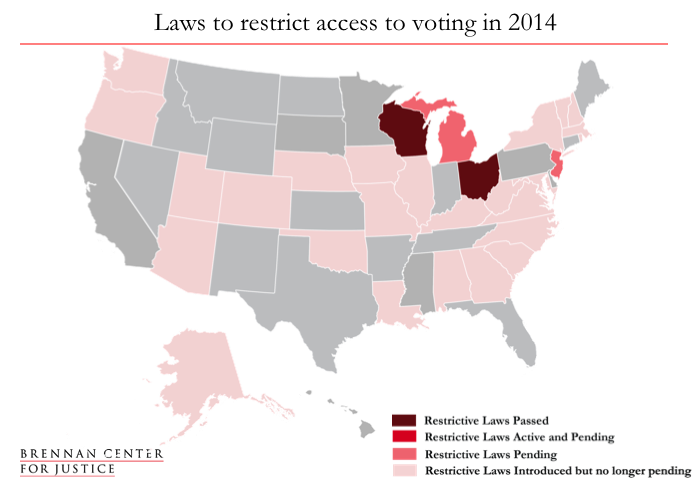 At least 20 states introduced bills to modernize their voter registration systems to make it easier for eligible citizens to register to vote.